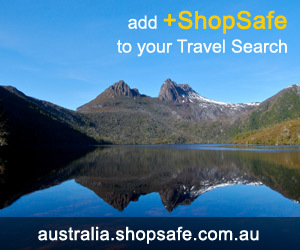 There are 8 shops in the ShopSafe USA Gifts for Teens Shopping Category. Zazzle - the largest library of customizable digital images from world-class brands - quality custom products designed by you that can be shipped within 24 hours. Save money on Threadless t shirts with threadlessdiscounts.com. Threadless tees are funny, clever, artistic and they rock. They're even worn by the main guy from Scrubs. Threadless is an ongoing competition where the internet's top designers compete to have their work printed on t shirts. For the sports fanatic - MLB, NBA, NFL, NHL, and NASCAR officially licensed goods - shop online for pennants, license plates, banners, flags, window clings, bumper stickers and much more for every major team and league. Teens love to splash on some scent and Perfume Emporium have a really cool selection of the hottest fragrances - Great gift ideas for teens of all ages with gift sets and individual fragrances ready to ship to your someone special. Encourage your Teens interest in reading by subscribing to one of ValueMags Teen titles. These magazines satisfy cravings for fashion, beauty, sports and celebrity news. All else failed? Let us help. If you want to see more Gifts for Teens here, please e-mail gifts_teens@shopsafe.cc. Please do not change the subject line of your email. If the subject line does not contain "Add to ShopSafe Online Shopping" it will not be read.